What is Filorga M-HA 18? 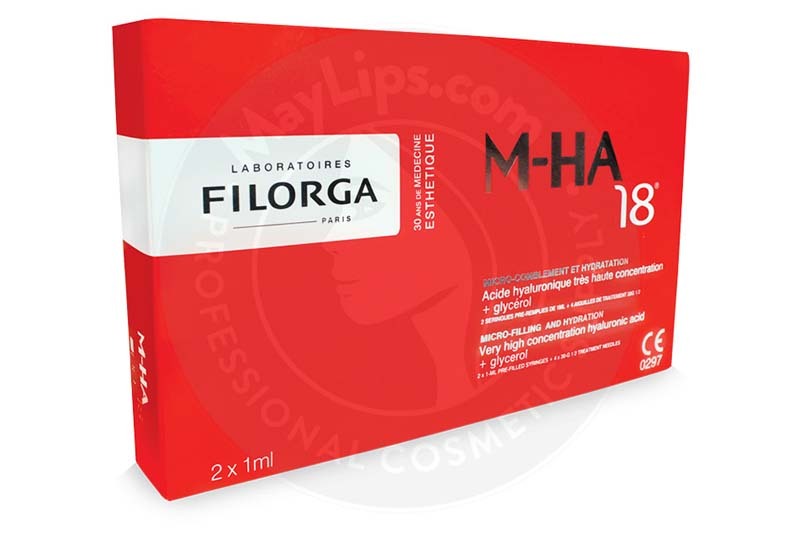 M-HA 18 is an injectable gel composed of hyaluronic acid derived from a non-animal source. 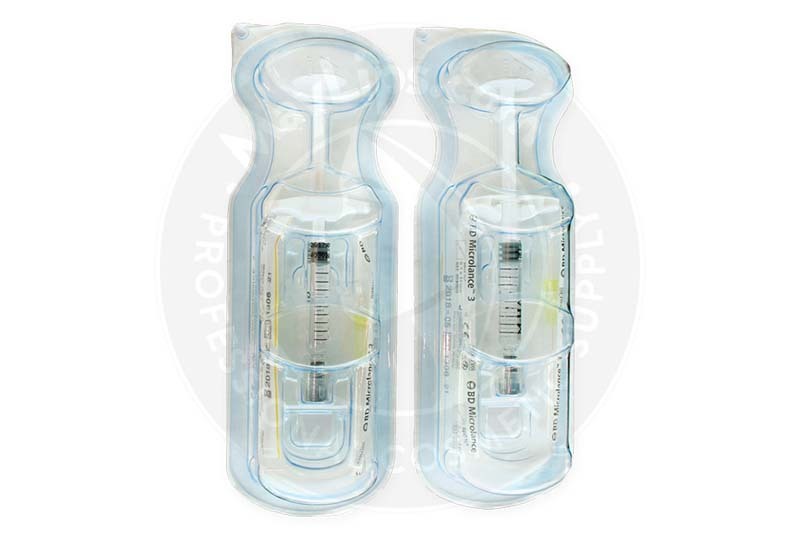 This filler is used to correct superficial lines and to rehydrate dry, ageing skin. Manufactured by Filorga Laboratories, this cosmetic filler is a popular treatment for patients who are starting to show the first signs of ageing. The gel comes prefilled in 2-1mL syringes. Each package contains 4-30G needles, traceability labels, and a product insert. This filler should be stored in a dry environment away from light, frost, and heat. M-HA 18 is popularly used to combat the first signs of aging. Fine lines such as crow’s feet, smoker’s lines, and smile lines can be corrected with this filler. 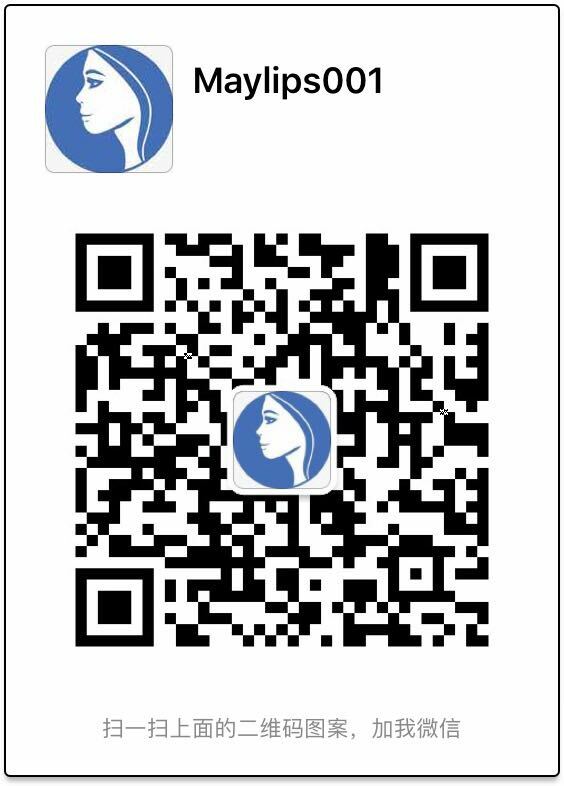 It is suitable for correcting superficial facial wrinkles. Hyaluronic acid is naturally found in the skin; however, levels of HA are depleted with age. This results in a lack of hydration, which causes a breakdown of the skin’s structural support system and creates fine lines and wrinkles. The hyaluronic acid in the filler works to attract moisture once injected into the skin, ultimately plumping up and smoothing out the skin. By replenishing lost hyaluronic acid, the appearance of fine lines and wrinkles is diminished, leaving your patient feeling confident and looking rejuvenated. Treatments with M-HA 18 must be done by a medical professional who is legally licensed to administer aesthetic injections. Prior to treatment, discuss your patient’s medical history to determine their suitability. As well, you can advise them of the expected results and any possible side effects. During the procedure, the intended treatment area must be disinfected. The implant should only be injected into healthy skin, free of inflammation and infections. Inject into the deeper superficial dermis using the provided needle. Do not overcorrect. The amount used will depend on the patient’s concerns. After treatment, lightly massage the area to promote even distribution. You may wish to perform follow-up injections after the initial treatment. The duration of the filler’s effects will depend on your patient. Over time, the hyaluronic acid will be metabolised by the surrounding tissues. The results can last from 6 to 12 months, and maintenance treatments can be scheduled as needed. This filler is very well tolerated and has a high safety profile. The Filorga brand has been a trusted name is clinics and medical spas around the world, and is widely sought after by doctors and patients. Regardless of its safety, dermal fillers may not be suitable for patients with a tendency to develop raised scars, those who are hypersensitive to the filler’s ingredients, and those under the age of 18. As well, patients who are pregnant or breastfeeding should not be treated with this filler. Proceed with caution when injecting this filler. It should not be injected into the ligaments, tendons, muscles, or bones or into areas with an active infection. This may not be all the contraindications and precautions listed by the manufacturer. If injected according to the manufacturers instructions, the side effects of this cosmetic filler tend to be mild. These side effects do not interfere with your patient’s day-to-day activities and should resolve themselves within a few days of treatment. Should these effects worsen or persist, have your client follow up with you to determine whether treatment may be needed. It is important to discuss your patient’s medical history prior to the procedure to determine their suitability. Rare or more serious side effects may occur if proper protocol is not followed. Should your patient develop any adverse reactions, they should seek medical attention immediately. 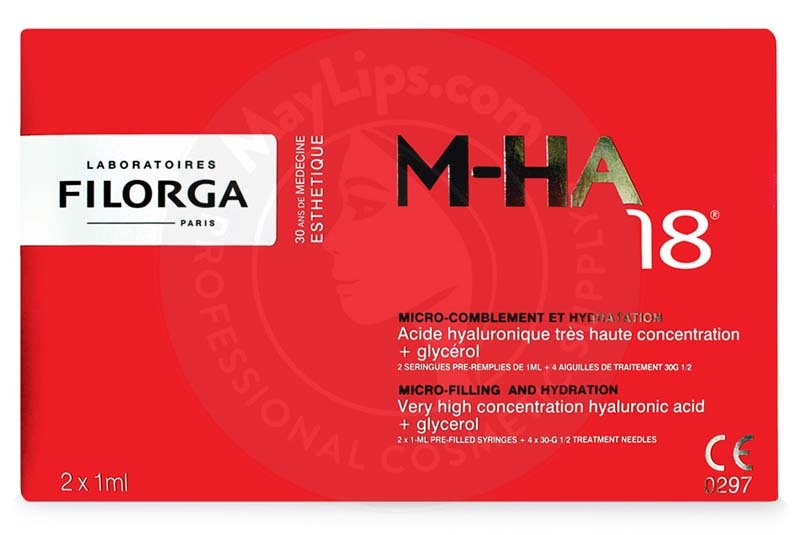 M-HA 18 is a hyaluronic acid-based filler that is viscoelastic, sterile, isotonic, and biodegradable. The sodium hyaluronate is of non-animal origin, and is obtained through biofermentation. A single syringe contains 1mL of M-HA 18, which includes 18mg/mL sodium hyaluonate, 20mg/mL glycerol, and a phosphate-citrate buffer pH6.8 to 7.6 q.s. This filler is sterilised with moist heat. Ingredients: Free Hyaluronic Acid (18mg/ml). Also Included: Contains 4x30G 1/2 treatment needles, package insert.